On Sunday, October 19th, Leslie Thomas and I rode The Crown with access through the Glassier Property. We parked through the orange gate, across from the old brick house. The access was easy and the parking ample for our 18’ horse trailer and truck. We had to ride down the bike path to the gravel road, which lead to the trail. The bike path was busy and slick with a top seal coat. Both horses slipped on the smooth surface. There was no room on either side of the path to ride a horse safely. We ended up riding on the dirt road, which was safe. The main trail entry was very steep, straight up, and quite long. We stopped twice, to let our horses rest. Up hill climbs are not unduly stressful to horses, if they are allowed to fill up on air. It is the coming down hill on steep tracks that can damage a horse’s stifles and hocks. After owning and operating “Moon Run Outfitters” for 18 years, I know how damaging steep down hills can be for horses. Horses will not stay sound with continued use on steep down hill trails. Most local horse owners ride their horses in other disciplines, and lameness is not an option. Building switchbacks, with water bars for run off, is the solution for this problem. Leslie and I counted four steep grades that would benefit from putting in switchback trails. This scenario is very typical of all the U S Forest Service wilderness horseback & hiking trails. 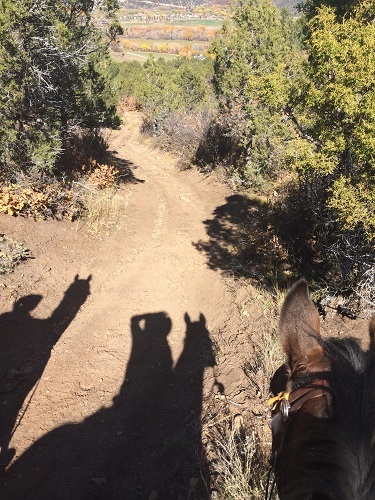 If this trail, with switchbacks in place, is to be shared with bikes, we recommend that the horses have a different switchback entrance. bike rider skidded to a stop five feet in front of my good mare. Both horses held their ground as the bike skidded to a sliding stop sideways. I know that both the bike rider and horseback riders had a moment of fear. In general all the bike riders were very courteous and careful, when approaching the horses. They always gave us the right of way. The problem was lack of visibility on the trail. This brings me to the point. As long as the horses can see and hear the bikes, there is rarely a problem, unless you are both on steep, narrow, straight up terrain. Add in a steep thousand-foot drop off, like at the top of the “Ditch Trail” on Basalt Mountain, put horses ascending, and bikes descending, and you have a wreck, with tragic consequences. Luckily there were no bikes when I rode that trail. I will not ride that trail again because of the danger. 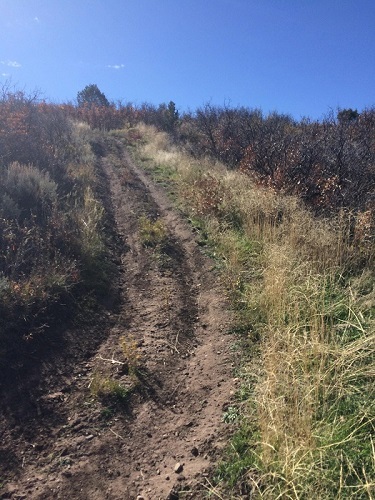 Steep, straight up and down trails create another problem for horses and riders. 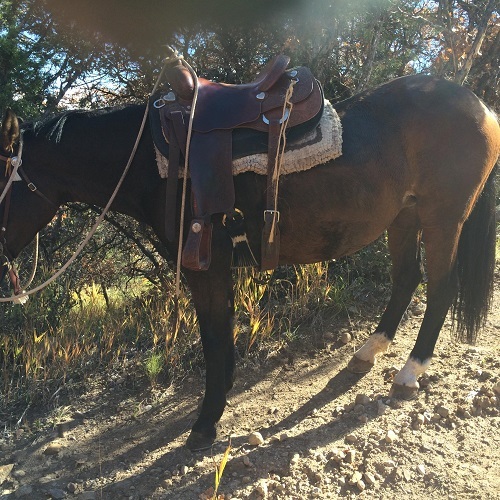 Many horses have conformation issues with round barrels and mutton withers, making saddles slip forward on steep grades. When Leslie and I started down the trail for home, we tightened our back cinches. Usually this prevents saddles from shifting forward. The last steep grade on this trail was straight up and down and very long. There is a photo of the displaced saddle, which can make horses buck, causing a wreck. This is another reason to put switchbacks in this section of The Crown trail. When riding with other people in a group, the rule is to keep everyone safe by riding to the ability of the least competent horse and rider. Green horses and amateur riders do not have the experience to deal with horses that shy, bolt, and take over from their natural flight from fear reactions. The liability of meeting a bike on a narrow track on a steep hill is considerable. The purpose for this letter is to help create a safe, useful equestrian trails, that can be enjoyed by everyone. As it is now, only experienced riders with solid, bike-trained horses would be able to use it, and even then it could be sketchy. 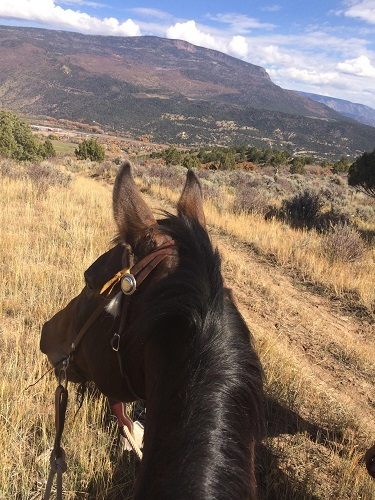 Before any open access is granted to the public, the equestrian part of the Glassier Steering Committee would like to make suggestions for where and how the switchbacks should be made, and at what parts of the trail bikes and horses can be compatible. The Crown is beautiful, with stunning view and peaceful serenity. The Glassier access will benefit by making it safe for everyone, equestrians, hikers, and bicycle riders alike.